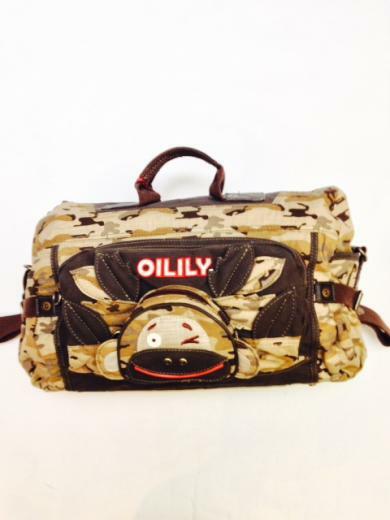 From the Camouflage Range by Oilily this bag includes a wipe clean changing mat, a large zip fastening internal net section and two elasticated pockets for bottles etc. On the outside of the bag there is a large zip closure section and a smaller purse sized zip-up section ideal for keys etc. The ends of the bag have further pockets with hook and loop closures. The bag has a zip closure for security and hand and detchable, adjustable shoulder straps for ease of carrying and attachment to pushchair etc.